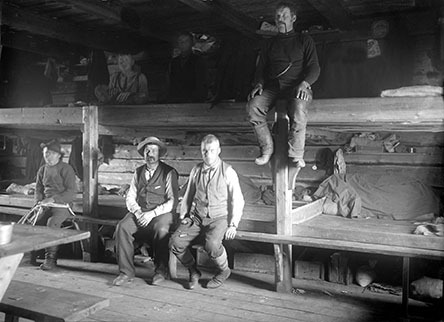 The Saariselkä area was overwhelmed by an unprecedented gold rush in the late nineteenth century. 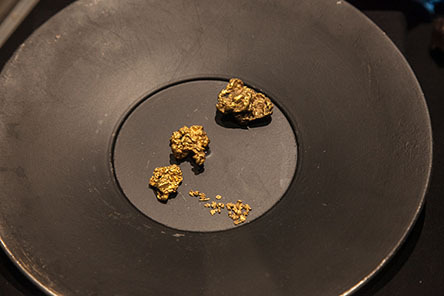 Gold was excavated along the Ivalojoki River, its tributaries and brooks since 1868, but today companies have bigger dreams and more money at stake. Gold being found on the riverbanks and riverbeds indicated that it had been washed away from somewhere farther away and transported by water, ice and loose soil. Somewhere, there had to be a parent rock, full of gold, from which some of the treasure had loosened and travelled further. All you had to do was find that place, and you would be rich. Entrepreneurs and financiers fell under the spell of the dream of this golden parent rock. 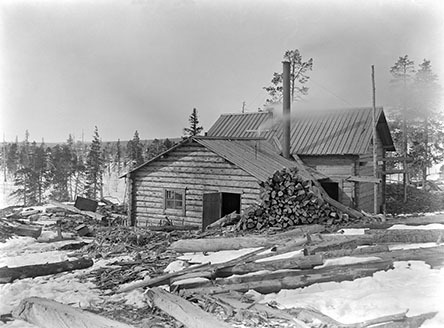 Kerkelä Mining Company Pohjola Henrik Herman Kerkelä (1869–1929) from Kemijärvi sparked off the Gold Rush. He happened to be present when an official geological expedition, led by J. Sederholm, Director of the Geological Commission, came to the conclusion that Hangasoja in Laanila was the likely location of the gold deposit. This occurred in 1898. Kerkelä quickly claimed the area in question. 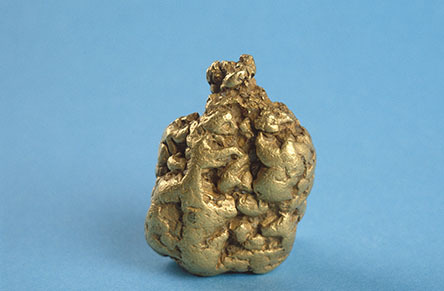 He later managed to convince financiers with his analyses indicating that the rock contained up to 92.50 grams per ton of gold. This was an unpredictably high concentration of gold. When the public authorities, led by Sederholm, praised Kerkelä, investors offered to back the mining project. The mining company Pohjola began operating along the Hangasoja Brook (see map) in February 1902. The company’s capital stock was as high as FIM 1.8 million. Aktiebolaget Prospektor claim areas Aktiebolaget Prospektor was founded to compete with Kerkelä later in 1902. The founding of the company was the work of J. J. Sederholm, mentioned above. The company was owned by a number of influential men. Hopes were high regarding the parent rock. This is evident, for instance, by the fact that the forester who measured the timber reserves south of the Ivalojoki River reported that the region’s entire wood resources should be conserved to meet the future needs of the mining industry. Before long, the entire Saariselkä area from Kaunispää to Kakslauttanen in the north-south direction, and from Tolosjoki to Luulampi, was systematically claimed, as indicated by the enclosed map belonging to Albin Torckel from 1902. The list of claim holders is interesting. For instance, it includes a number of public officials, whose actual professions were in no way related to gold or gold mining. 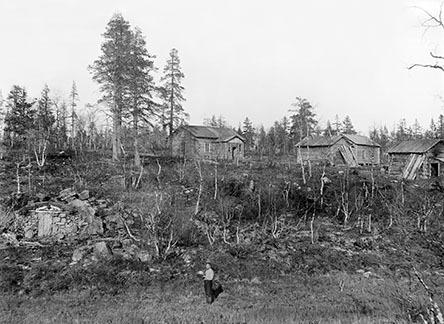 Forester Arthur Granit arrived Inari in 1897, in order to chart the areas and their timber reserves. He acquired around thirty claims in his name. Mauritz Waenerberg, a former sea captain, also worked for Metsähallitus (National Board of Forestry).. He was appointed as Forest Inspector in Kaamasen Thule, also being tasked with the confirmation of mines. Waenerberg’s name is bound to come up if you read travel journals from the late nineteenth century. 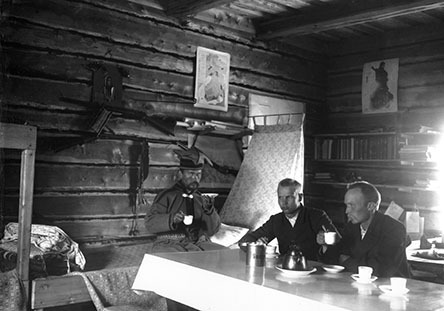 Kaamasen Thule, hosted by Waenerberg, “Uncle Lapland”, is always mentioned as a friendly and welcoming place of rest for travellers. Waenerberg acquired 48 claims in his name. Both Granit and Waenerberg sold their claims to Prospektor as early as 1902. 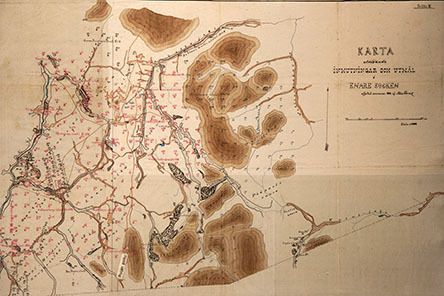 So apparently did engineer K. A. Niinikoski from Tampere, who claimed the entire Iisakkipää and Vahtamapää area up to Vellinsärpimäoja in the east. The number of claims was 76. It is peculiar that Niinikoski’s name does not appear in any articles on the history of gold in the area. However, he is one of the men in a group pictured outside Prospektor’s base in Laanila. This leads me to the conclusion that he also sold his claims to Prospektor. Prospektor ended up owning a total of 470 claims. Prospektor in operation Prospektor initiated construction, road and excavation works on an unforeseen scale in the area. The company had up to 164 employees. 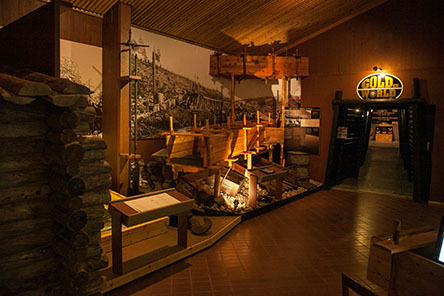 Mining Engineer Emil Sarlin and Chemical Engineer Juho Hugo Saarinen led the work. These men appear to later generations not only as representatives of their own sector but also as the first photographers of their time, who recorded the people, activities and landscapes of the early twentieth century seeking prosperity. For instance, the old photos (stored at GTK’s Hakku Directory) in this text were taken by them. 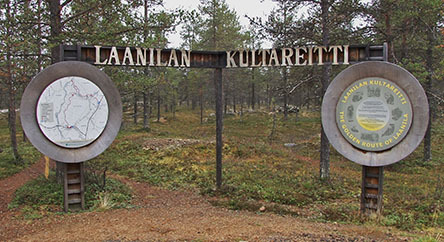 Prospektor built its main base in Laanila, at the precise site where Laanilan Kievari now stands. 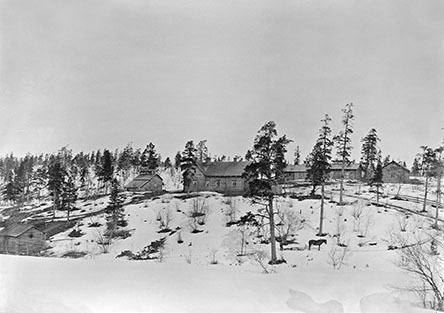 Worksite buildings were also constructed at Hangasoja, Lutto, Tolosjoki, Moberginoja, Palsinoja and Ruikanmutka by the Ivalojoki River. The company’s laboratory was located in Hirvaskuru (see map). The deepest mine shaft was excavated all the way down to 51.5 metres, at the Lutto, or Prospektor Mine. Other mines included the Ramsay Mine and the Carl Gustav Mine on the north side of the current Kutturantie road, and the Colonel Mine along the Hangasoja Brook (see map). Lutto Mine (=Prospektor Mine) in 1903. Photo by J. H. Saarinen.